Hans grabbed that opening, turned, and exploded. “I’ll say it wasn’t fair! I won’t be able to go anywhere for a month without people laughing. Beliona might get over it, but Vabona never forgets such things. He spoke in a baby voice, “Mama said! Mama said… It would have been kinder to kill me. I will have to walk around with a sack over my head for the next ten years.” Greta slapped him, and then she let it out. “Hans! I got caught by a soldier when I went looking for you. If Drakka had not come along I might have been raped or worse. I needed you, Hans, and you weren’t there for me!” She quickly grabbed Hans by the lobe again, dragged him into the house and deposited him at the kitchen table where he could nurse his ear. She went to the back and fell on her bed where she cried, and she decided if Hans thought she cried about nearly being raped, let him. After a while, when Greta lay quietly, Hans came slowly into her little room. Greta sat up, turned around and hugged him. Hans hugged her again, and then went out front, but Greta decided she would just mope around for the rest of the day. After a while, Hans got to go off somewhere with Papa. Greta hoped that would make his birthday a little better. Mama stopped in several times and on one of those times she told Greta that Yanda came to the door. Greta felt crampy, though, and said she was not in the mood to go out. Papa and Hans finally came home. Mama had been cooking special things all day and only Bragi was missing to make it a real family gathering. Greta felt better for a minute or two, until Papa spoke up, even as he grabbed a hot sausage. “Sorry, dear,” he said. “I have to eat with the Romans tonight, dreadful as that sounds for the digestion, but things will get back to normal soon enough.” He kissed Mama and sent Hans out to bring in the packages. They were new dresses, and Hans got a new outfit, too. Greta squealed, just a little, and went immediately to try it on. The dress was soft pink, richly embroidered with white flowers all around the collar and sleeves, and cut well and fit well around her young figure. She thought it showed her off, nicely, and everyone else thought so too. “Papa.” Greta felt thrilled, and she gave him a big hug and kiss. “I’ll tell you in a minute,” Papa said. “Get changed.” Greta hesitated. “Go on.” Papa smiled. It looked forced, but Greta went and changed. When she came back, she saw that Mama’s dress also looked very nice, but very Mama-like. Han’s new tunic had been emblazoned with a bear and a raven, and he showed Greta every stitch; but he felt most excited about showing her the knife which hung from his belt. It seemed a rather long and sharp weapon for a fourteen-year-old, but the knife was the thing he most prized. Greta felt pleased to see that he could put it back in its’ sheath without cutting himself. 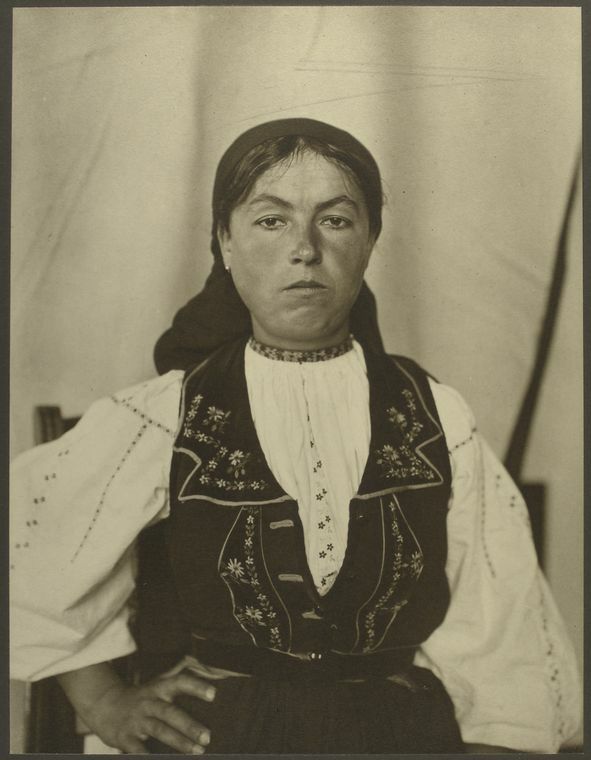 “The Macromani, the Quadi, the Samartins.” Greta said. “Neither we nor the Romans alone have the resources to keep them at bay forever.” That took no great insight to see. A little talk and a little logic was all that was needed. Greta was still too young to realize how rare a little logic was in the human race. Papa stared, so she shut-up. “And what did they offer us to fight and die for their empire?” Greta asked. “But you don’t like the idea at all.” Greta said. She started reading him, but he only laughed. Greta shook her head. She had no suggestions for that one. “One problem at a time,” she said. “Meanwhile, there is more.” She nearly asked where the cement was that would bind the agreement between the people and the Romans, but the hair rose-up on the back of her head and she grabbed her tongue. Papa looked down. He began to twiddle his thumbs. A deep sense of foreboding passed over Greta. “The Lords Marcus and Darius have taken a real liking to your brother, Hans,” he said. “Darius gave me my knife. He really is a great guy, ow!” Papa kicked Hans under the table. Greta turned toward Papa and the creepy feeling went all over her skin. “In order to solidify our agreement and solidify our unity, the daughter of the new high chief will be betrothed in a special ceremony tomorrow at noon to the Tribune Darius. The wedding will be in mid-summer.” Papa stood and Hans stood with him as Mama drew in her breath. Greta stared at Papa in shock as they left. Then she closed her mouth. Mama got up after a moment and fixed two plates with some of the special things she had been cooking, carefully picking out Greta’s favorites. Greta told herself screaming would have been pointless. She could not cry about it. She had spent all afternoon crying. Perhaps she could just hang herself. Maybe Drakka could make something special with which she could hang herself, because, after all, he was such a very good friend. Mama set Greta’s plate down and sat facing her. “We’ll have to get straight to work if we are going to get your wedding dress ready by mid-summer,” she said. Greta screamed. It wasn’t as pointless as she thought. When she went to bed, she was not sure if she had blinked yet, but her last thought was, well, at least he got a promotion out of the deal. Greta cried in the morning on general principal. Then Papa came in and they had to talk. He hugged her first, but she had gone cold. “Tolstoy. I read that book,” Greta responded, without really thinking. “I think it is about time you men fight your own fights or make your own peace without selling your daughters like cattle.” Greta paused. She remembered Helen of Troy and realized that men used women as an excuse for all sorts of things. She looked up at her father. “What?” She started to wonder what he wanted. “Greta sweet.” He said that already. “I was thinking, the people need their Woman of the Ways for counsel and help, especially in difficult times such as these.” He paused. He was not sure what to ask so Greta helped him out. 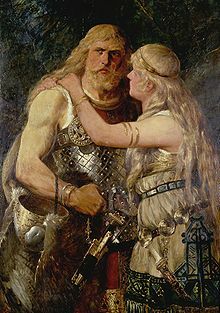 “Mother Hulda?” Papa said, hopefully, though he knew better. Greta shook her head and spelled it out. 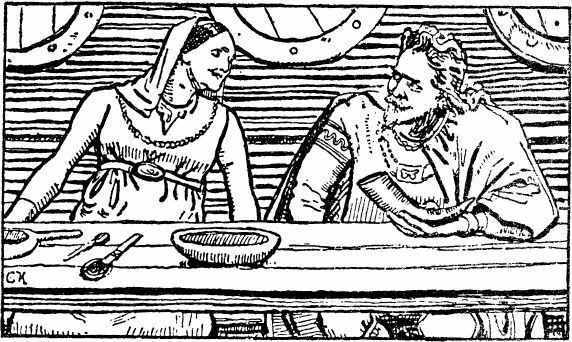 “She is too old and there is not enough time for her even if there was someone else.” Greta did not say that Mother Hulda would die soon, but they both understood. “You could pass on the gifts?” He tried again. “I would cut off my right arm for peace,” Papa said. “Worse, I have given my only daughter to the Romans for a pinch of hope.” He looked at the floor, ashamed of himself. Deep inside, Greta understood, even if she despised her fate. She kissed Papa’s cheek and spoke, though her heart was not in the words. “I will do my duty,” she said. Papa looked up. “I know you will.” He kissed her forehead. “I believe in you.” And he rushed out the door, his cape fluttering behind.